Something paper related at last! I haven't exactly posted too much of that lately... This kraft cardstock has been lying around my desk for a while and I suddenly couldn't resist it. 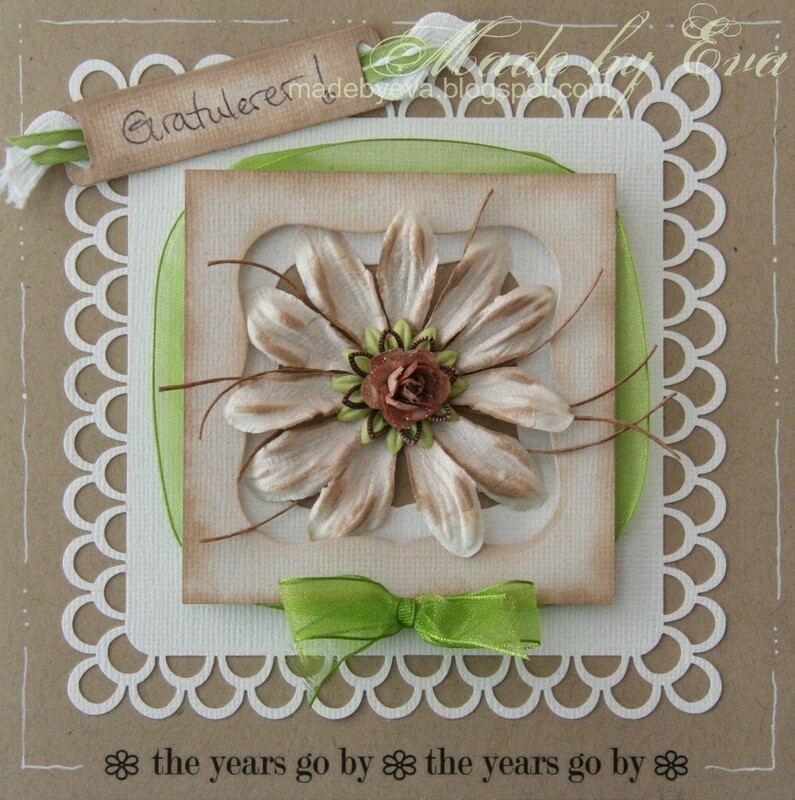 The white cardstock is a lovely contrast against it, but those small touches of spring green made all the difference. The flower assembly has been Glimmermisted and that's one of my new MS border punches in action! Lastly, I've doodled a line with my Sakura pen and added a sentiment from the awesome Art Warehouse rub-on collection. I adore this Eva! I saw a pack of kraft card stock at the store the other day and snatched it right up! I love kraft paper so much and it pairs with other colors so well.. esp white and green!